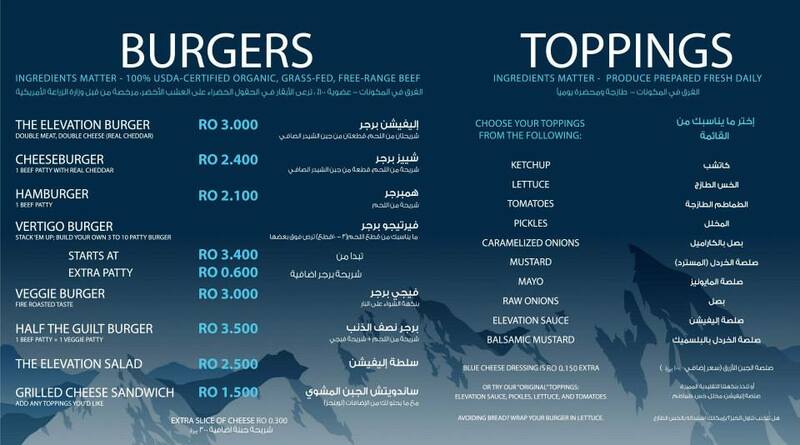 The newest restaurant at the Muscat Grand Mall is due to open next week on the 24th of June - Elevation Burger. The place was ready in February but staffing proved a bit of a challenge but now that's been overcome too. I was fortunate enough to be invited to a secret tweetup at Elevation Burger earlier this week and I got to see and sample the wares - it was very good. The burgers are all made from Halal Australian grass-fed organic cows, and the burgers are made on site - they have a big grinder in the back. The fries are made from fresh potatoes and are cut right in the front and freshly fried in olive oil, a nice touch! 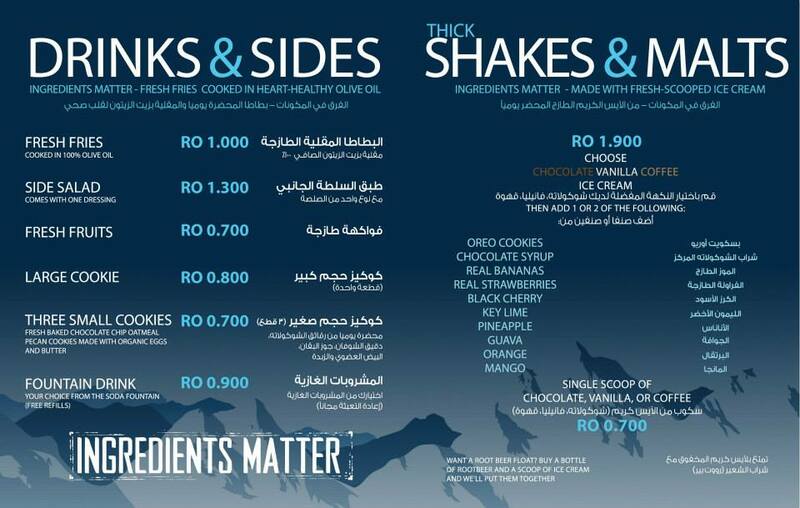 The pricing is not bad - its obviously more than the large fast food chains, but then again these burgers are a lot tastier too. I'm sure it'll be crazy-busy at first, but if you are hungry for a burger, its definitely worth trying out. Vast numbers of unemployed 20somethings and it's taken them all this time to get some staff??? They were looking for employable unemployed! "Vast numbers of unemployed 20somethings and it's taken them all this time to get some staff??" They need staff who can maintain service levels and not just for the first week of opening. Then they need them to actually come to work on a regular basis. Look at how long it took to get staff! I wonder where the hold-up was? Oh, let me guess.....! You're not built for work. As someone said a few weeks ago in one of the papers "We are a nation that likes to sit." Just let us expats get on with things for you. Silly me...I thought we were talking about burgers. But as usual on this site, people take the opportunity to slate and generalize Omani work ethic. May I ask you "sad" people to please restrict your comments to the subject, i.e Food ! "The place was ready in February but staffing proved a bit of a challenge but now that's been overcome too." The above quote was taken directly from the post, so comments regarding the poor state of the local workforce are a valid topic to be discussed. A burger joint with just 4 choices of burgers?! Actually just two, because it's beef and veg, that's all the option? 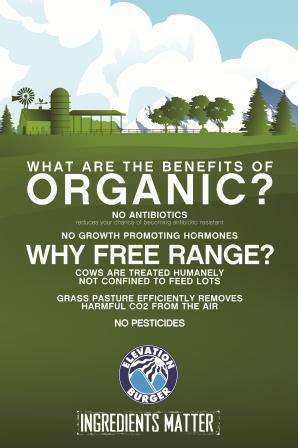 So the only thing this place has going for it is that it's organic? 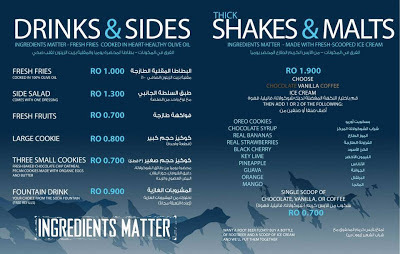 Kiwi Café employs Omanis & expats and has over ten burger choices, steak n cheese, Shewa sandwiches (limited) and South African sausages. 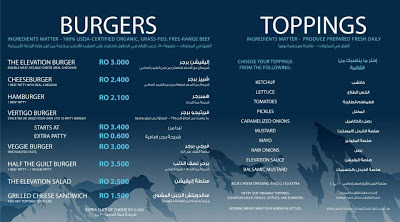 Bloggers and the bourgeoisie love to talk about US franchises but spend not enough time talking about A REAL burger joint made in Oman that didn't have 15 USD million start up capital. Sure its not perfect but at least its REAL TASTY & Organic FYI. And for your information the Omanis Kiwi employ are excellent! They work 10 months a year with public holidays and most of them couldn't get jobs in their own country. When we go to their country they hurl racial abuse and cry thei tax money is going to waste. I'd say 6 out of 10 expats are not productive and their CV's are about 60% exaggerated. - HR Professional. Don't like it? go back to where you came from pleeeease. Not sure how this post comments got turned onto Kiwi cafe. I went there to review it last month and waited half an hour for a burger so got up from the dirty plastic picnic chair I was sat in and left! I'll try again in September.